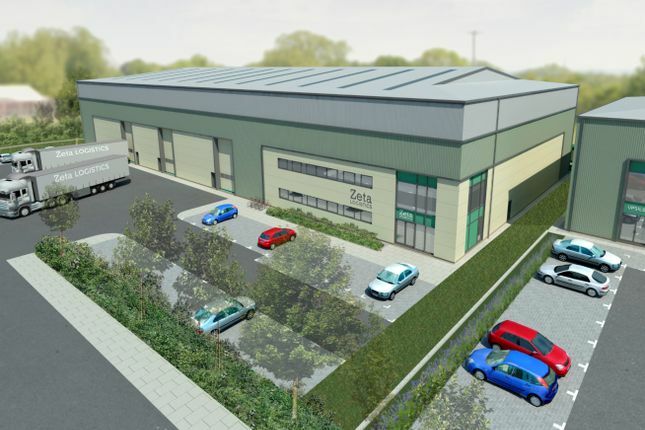 Hawke Ridge Business Park is a £50million 35 acre mixed use development situated between Westbury and Trowbridge with excellent transport links. The Merlin Buildings will provide warehouse and ancillary office space within a well landscaped business park. The new building is designed to be 8m high with three full height loading doors. It will incorporate circa 5% of the floorspace for office and amenity uses. Property descriptions and related information displayed on this page, with the exclusion of Running Costs data, are marketing materials provided by Alder King - Swindon, and do not constitute property particulars. Please contact Alder King - Swindon for full details and further information. The Running Costs data displayed on this page are provided by PrimeLocation to give an indication of potential running costs based on various data sources. PrimeLocation does not warrant or accept any responsibility for the accuracy or completeness of the property descriptions, related information or Running Costs data provided here.